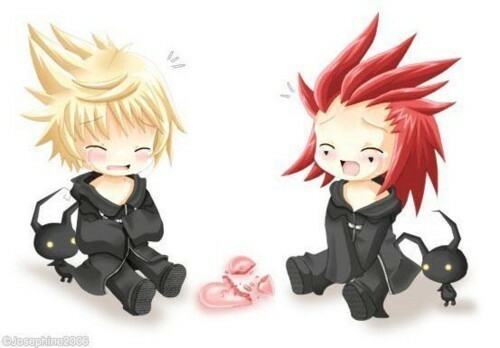 Roxas and Axel share one heart!. poor roxas and axel ;(. Wallpaper and background images in the KH: Organization XIII club tagged: axel roxas crying sad broken heart heart. I WILL HUNT DOWN AND RIP APART WHOEVER BROKE THE HEART...YOU WILL DIE!!!! aw! so cute! i just want 2 pick them up and hug them sooooo badly right now!